by Michelle Sekich R.D.H., B.S. The original Sonicare was first developed over 20 years ago and the technology keeps improving! The manual toothbrush, as we know it, has not changed much since 1930 when they replaced the boar hair bristles with nylon. In 1960 the first power brush was introduced to the market, and for the past 50 years people have been second guessing if they have been worth the money! I’m here to say, yes, since most people (90%) do not brush properly or long enough. 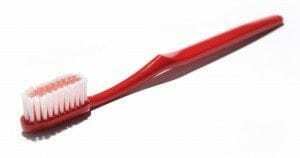 We do not hit every tooth when brushing with a manual toothbrush (t.b. ), nor do we brush long enough. We as a general population are consumed with everyday life and 2 minutes for brushing seems like forever! That’s where the Sonicare comes into play with its quad-pacer. It times our brushing for us and does all the work with the sonic motion of the bristles. Sonicare provides about 30,000 to 40,000 strokes per minute, where a manual t.b. is only about 300 strokes per minute. You could brush for half the time with a Sonicare and still do better job than a manual t.b. However we as dental professionals prefer the full 2 minutes for brushing. The Sonicare t.b. provides a high frequency bristle action that forces the bristles in between the teeth, hard to reach areas and along the gum line. Healthy gum tissues = easier dental cleanings and improved dental check-ups! This helps to motivate you as a person to take better care of your teeth once you are able to see and feel the results! Sonicare has proven to be more superior then a manual t.b. Sonicare is changing the way people are brushing their teeth! So ask your dental professional the next time you are in the office on how you can invest in your overall health and make Sonicare part of your daily routine! !